We are happy to tell to you that PSEB has announced the result of 10th class on 3rd June 2013. 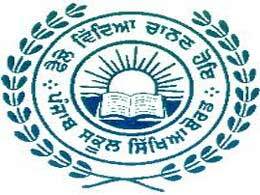 All students of 10th class whether regular or open can check their result on the official website of PSEB at http://www.results.pseb.ac.in/ . Students who appeared 10th class were waiting their result from long time. After declaring result, their all tension have removed. No Comment to " Result of 10 Class PSEB 2013 "